Hartford Therapist: Rebekah Wolff - Therapist 53027. Send A Message To Rebekah. Session Fees: We take Forward Health/BadgerCare and have reasonable payments for cash payment. Rebekah gladly entered this field to help enrich and empower people through their obstacles and goals. She has had a diversified experience working with people from all ages, children, adolescents, and adults. Rebekah has had extensive experience working individually and in a group setting primarily, with the youth population. She has treated those coping with depression, anxiety, self-esteem issues, life transitions, family issues, and relationship issues. Rebekah had previously interned at Kettle Moraine Counseling, working mostly with children and the youth, as well As Hartford Counseling. She also interned for NAMI that specifically dealt with adults and teens with mental illness and helped them through their recovery process. At the same time she worked for Lad Lake, in which she helped individually counsel teens at risk. In addition, she is currently helps facilitate a teen group in Washington County that helps teens with mental illness. Rebekah believes in a Client-Centered Approach, Cognitive Behavioral Therapy, Solution-Focused Therapy, and Play Therapy. Rebekah thrives in providing a caring and supportive environment for all her clients. Rebekah has earned her Masters Degree in Counseling from Concordia University Wisconsin, and is a Licensed Professional in Training. In her spare time, Rebekah believes in reaching out to the community and has helped and mentored countless people through a variety of cancer organizations. She feels rewarded to give back whenever she has the time through public speaking or one on one mentoring as she herself is a cancer survivor. Rebekah is also a fan of hanging out with her daughter, friends, and her dog. You may catch her indulging in some local ice cream , taking a walk at the park, and shopping the local stores. Rebekah currently works part-time at Hartford Counseling and has daytime and evening hours. Rebekah has experience working with children, teens, and adults. Rebekah's main goal in therapy is for her clients to have their voices be heard. 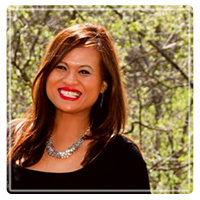 She strongly believes each client has a story that needs to be supported in a genuine and warm counseling atmosphere. She finds it admirable for her clients to seek counseling, as it is the first step in treatment. She encourages clients to be themselves, relaxed, and honest about the therapy as her approach is to have more of a partnership with each client. Rebekah believes the clients are the experts in their lives. Rebekah finds it extremely rewarding when clients can empower themselves to overcome their obstacles.